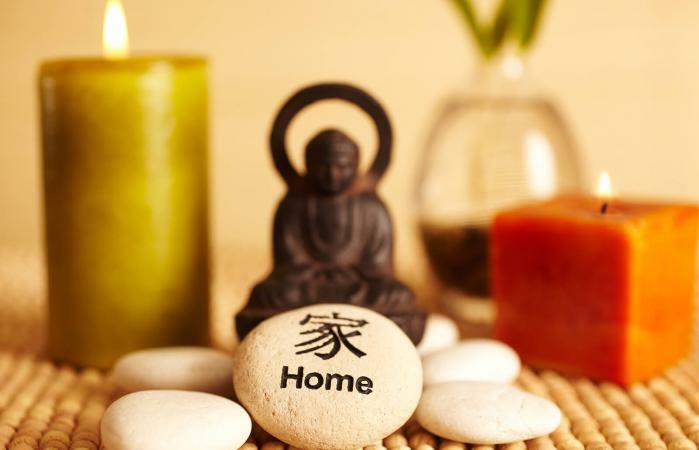 Feng Shui explains how to rid your home of negative energy. There are several ways you can remove inauspicious energy by applying specific feng shui principles and cures designed to eliminate bad chi energy. There are several kinds of negative energy with many causes. The first step to getting rid of negative energy is to determine where that energy resides. If you're having difficulties or obstacles in a particular area of your life, then assess the governing sector in your home and apply remedies as needed. There are numerous ways to negate sha energy in your home. You can create an attack plan to conquer any feng shui issues resulting from bad energy. Most remedies are simple and you'll quickly feel the energy shift from negative to positive. Plumbing issues can rob you of money and slowly drain your bank account. Leaky faucets and running toilets siphon positive chi away from your home. Unstop sink and tub drains immediately before stagnant chi energy builds up and impacts your life. The bathroom generates negative energy from its release of wastewater. You want to keep bathroom doors closed at all times and hang a full-length mirror on inside or outside of the door depending on what the mirror will reflect. You should keep the toilet lid closed when flushing and not in use to prevent negative chi from filling the bathroom. There are some plants you should avoid since they create negative energies, such as sharp or pointed leaves or prickly plants like a cactus. You should avoid dried floral, plant or herbal arrangements since the chi for these plants has died. You can safely use artificial plants and flowers since they were never alive and were created as imitations. Flowering plants should be deadheaded (removing spent flowers/blossoms) to prevent negative chi energy. You need to keep appliances and all equipment in good working condition. Any broken appliances or equipment should be replaced since these set up negative and stagnant chi energies. Fully functioning equipment generates positive chi energy. Clutter is the main culprit of trapped energy that blocks its natural flow. Like air, energy moves through your home, but if it bumps into a stack of old newspapers or other forms of clutter, it can't move freely and becomes trapped. This creates stagnant bad energy that continues to accumulate until you get rid of the clutter. Blocked energy is a common cause of negative energy. Several things cause blocked energy, You can correct or remedy this bad energy with feng shui principles and applications. Go through each room in your home and determine if there are any cluttered areas or obstacles blocking the free movement of chi energy. You may want to use a free decluttering checklist to assist you in identifying any areas that need remedies and cures. Once you remove the clutter, the energy circulates and moves through your home once more. The stagnant energy is carried away and new fresh energy begins to flow through your home, bringing good luck to the once blocked sector. A dirty untidy home creates stagnant energy. Stagnant chi can cause illness, interfere with career goals and other areas of your life. The solution to this kind of negative energy is simple- clean regularly. You can easily resolve these issues. 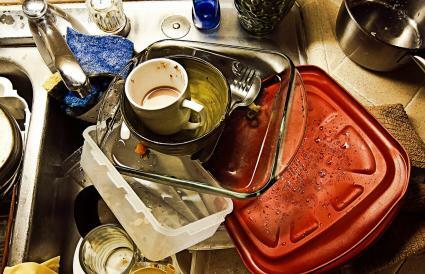 Don't allow the dishes to pile up in the sink. Set a realistic goal of keeping up with the laundry since it's an ongoing task. Wash the floors, vacuum, and dust regularly so the chi flows and doesn't accumulate to become bad energy. One of the biggest creators of negative energy is placing furniture or objects in pathways. You can quickly identify these pathways and assess if you have inadvertently blocked any of them. Draw a layout of your home. Indicate where each door and window is located. Now examine the pathways from door to door and room to room. Do you have a large sofa placed directly in the natural pathway from the den to the kitchen? Do you and your family have to walk around the sofa and across the room to get to the other door? Is there clutter in the pathway preventing you from moving through the room? Once you've assessed each room, imagine the chi energy entering your home and attempting to maneuver around furniture or other obstacles. When the energy flow is slowed down, it accumulates at the furniture or clutter that is blocking its natural movement through the room. If a bed is placed in front of a window, it can interfere with energy moving in and out of the room. It can also disturb your sleep. A couch that screens part of a window blocks energy and creates negative chi. Heavy draperies that remain closed all the time prevent positive chi energy from entering and leaving the room. One of the best feng shui ways to get rid of negative energy is to identify and cure poison arrows. Sharp angles, corners, and columns can create what's known as poison arrows. These angles redirect the energy funneling it into a powerful thrust that transforms chi into sha chi energy. Each poison arrow has a remedy that can eliminate or reduce negative energy. Inside poison arrows can be caused by open bookshelves but remedied when the books are moved flush with the shelf edge. An architectural column may appear to be a formidable poison arrow, but you place a tall plant(s) placed in front of it to destroy the bad energy. If your bed is in the direct path of a poison arrow, you'll suffer sleeping disorders and possible ill health. You can remedy with a multi-faceted crystal suspended between the bed and poison arrow. 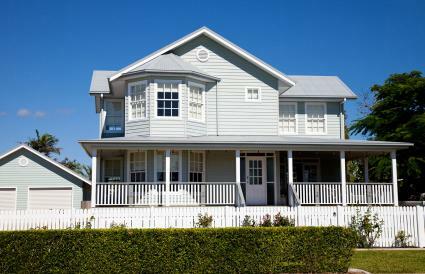 An outbuilding or a neighbor's home can create sharp corners that point directly to your home. A cemetery, landfill, hospital and other places that are associated with negative energy create poison arrows. Streets and roads that intersect directly across from your home create a poison-arrow effect aimed at your home. Many people choose to counter exterior poison arrows from a neighbor's roofline with a bagua mirror reflecting the roof. While this remedy your problem, you will send that negative energy to your neighbor. Instead of using a bagua mirror, you can opt to hang wind chimes, set a water fountain with an upward spray or plant grouping of trees or tall plants between your houses. A poison arrow created by a road dead-ending at your driveway or your home located at an intersection can be weakened. Place a large rock with two or three trees in a berm-effect between your home and the street or road. Make sure what you create is an attractive landscape feature. You can also weaken the sha chi by creating a space of tranquility between your home and the street. You can erect a fence or build a wall to separate your home from the road and counter the negative energies blasting your home. Make sure the fence or wall is attractive, serving as a positive landscape addition to your home. Flying Star (Xuan Kong Fei Xing) feng shui theory is the most accurate because it uses the date your home was built to create a chart. Because the stars move about, they can create negative influences in areas that previously were filled with positive chi. Charts can be created for a 20-year period, one-year period and monthly periods. The negative effect of some flying stars can be remedied by filling a glass container with salt and water. Next place six Chinese coins tied together by a red ribbon in the salt water and leave until your chart indicates the star has moved. Another way to remove bad energy is to activate positive chi energy with an element. In feng shui, the compass sectors in your home are ruled by specific elements. It's easy to add the corresponding element to the sector (room) with art objects, furniture, and decor accessories. You can take advantage of feng shui colors to further enhance the auspicious chi energy in the sector. Use can also incorporate feng shui symbols with elements to activate power areas of your home and attract positive chi energy. It may seem impossible to learn how to rid your home of negative energy, but with time and consistent effort, you can. When you follow feng shui rules and apply proper remedies, you can see an almost instant shift in your luck.